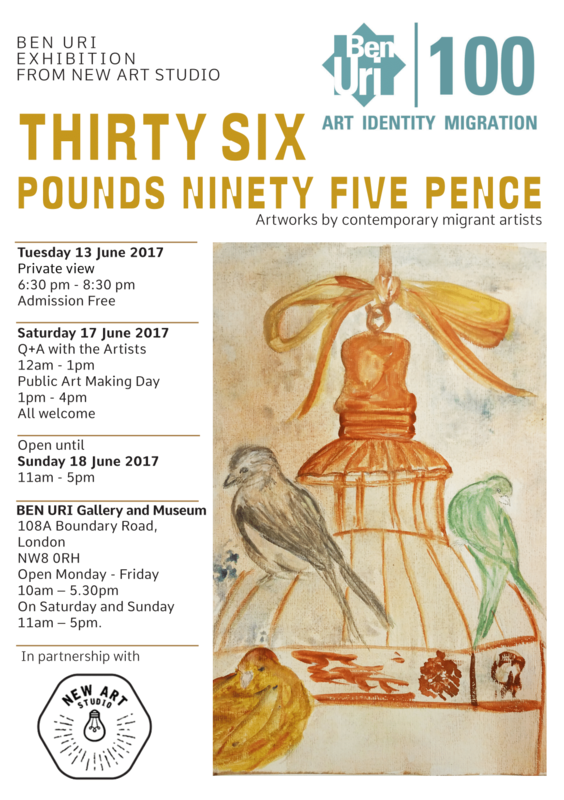 Our new exhibition at the Ben Uri Gallery: 13th – 18th June. We are very pleased to be exhibiting at the Ben Uri gallery. This group of artists have suffered the effect of war and political violence. They have lost everything and now face the challenges of living on £36.95 in an often hostile environment. Processing asylum claims can take up to 10 years, during this time they exist in limbo. The paintings in this exhibition, are sublime and extraordinary. They reflect the resilience and sensitivity of the migrant’s story: one of loss and hope. All artwork was made at the New Art Studio, a therapeutic art community for asylum seekers and refugees. The studio embraces the power of artmaking as a vehicle for recovery, where asylum seekers & refugees can be artists, turning base metal into gold.